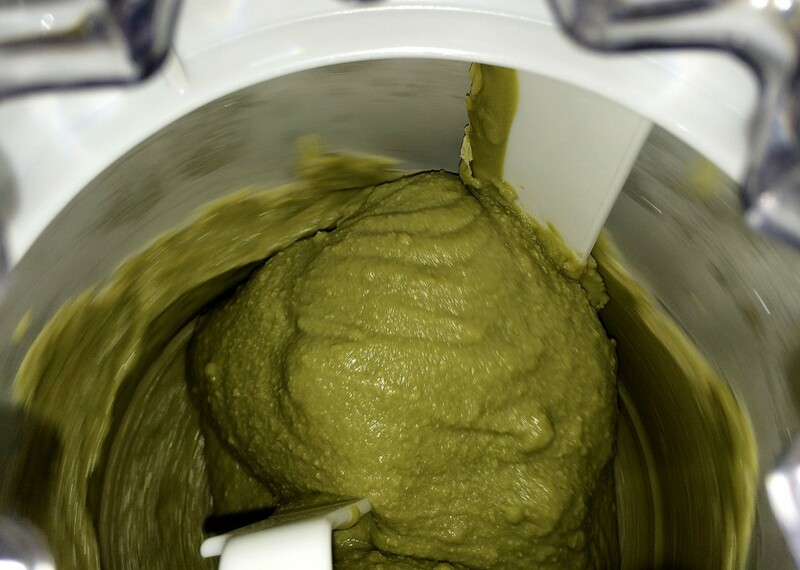 Bulletproof Green Tea Ice Cream being made in my ice cream maker. This isn’t the first time I’ve made homemade Green Tea Ice Cream but the other times I used really high quality green tea powder. This time I bought some that was cheaper as it came in a bigger package. I have to say that this batch wasn’t as good as the previous batches I made. I’m thinking it’s probably the green tea powder. Although the sweetener has a bunch of fiber in it, it’s made with chicory root, I’ve never had a problem with it in my coffee. Another thing I did differently was I added two tablespoons of MCT Oil to the batch to turn it into Bulletproof Green Tea Ice Cream, so it wouldn’t be rock hard coming out of the freezer and it would provide a fat-burning boost. I may have to reserve using the tea powder for other recipes, maybe some kind of cookies or something else I can experiment and whip up.